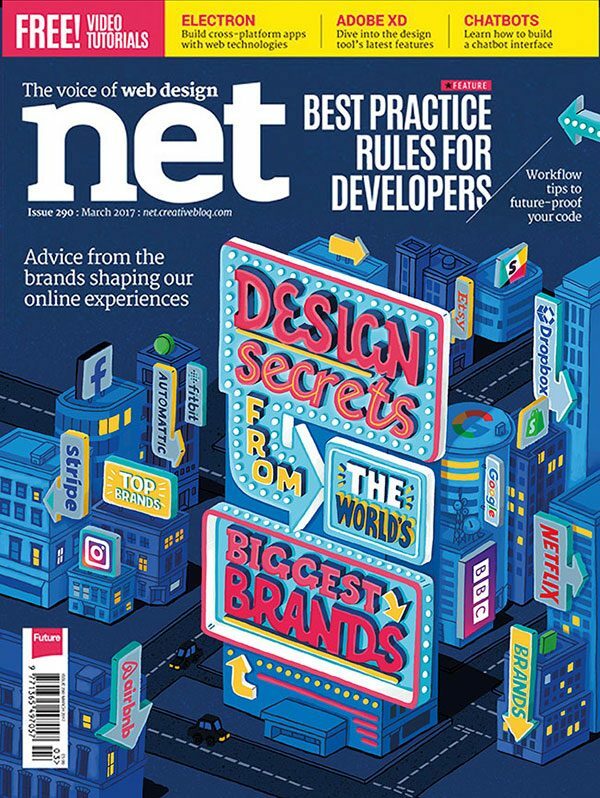 I felt honoured to be amongst the fab list of illustrators commissioned to illustrate the cover of net magazine. This month’s issue featured a piece on the top design brands and the secrets of their success. The client asked for a cityscape with the headline as a hero in the middle, a really fun creative brief!